If you're feeling a bit ropey today, probably don't watch this first video shot with Google Glass. It's quite the Blair Witch experience, as a Google employee jumps and tumbles on a trampoline while wearing the Glasses. It's shot in 720p and was posted on Google+ with the comment, "This one makes us a little queasy, but our prototype nailed what it's like to be on a trampoline." 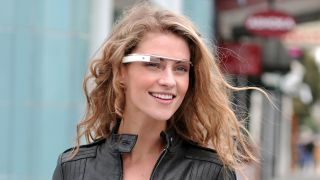 Google has been quite public about testing out the Google Glass prototypes, posting photos shot with the specs as well as rocking up to conferences and television appearances sporting the eyewear. Just the other day, Sebastian Thrun showed off the glasses' picture-taking possibilities, focusing on pictures that you wouldn't realistically be able to capture with your phone or a standalone camera. Still no word on when we'll be able to get our own eyes 'round the futuristic eyewear, with 'by the end of the year' still our best guess (although with Google admitting that the design falls short of what it had hoped, you might want to hang on for the second generation…).